If you have the proper idea about your goals, it becomes easy to achieve your goals in all the endeavors of life, including in investing. If you have the proper idea about your goals, it becomes easy to achieve your goals in all the endeavors of life, including in investing. Investing is not at all about applying trial and error method to get success. Rather, to emerge out victorious in this profession, requires proper as well as realistic planning. Only good planning can fetch you the desired outcome. And failure to plan is akin to planning to fail. If you have a proper plan in place, it helps you design the right kind of investment strategy. You also have the liberty to tweak the strategy so as to meet your goals. It also requires setting a realistic timeframe to reach your goals. Your investment objective, the time frame that you have set to fulfill that objective and the amount of risks that you are prepared to take, will determine your investment strategy. It is to be noted here that, time is the most valuable asset in this world. Time smoothens the ups and downs in the stock price and in turn reduces the risk element. Besides, your money grows at compound interest with time. Short term goals would be the one that you want to achieve in the next 1-3 years. You might have the plan to visit some exciting foreign location with your better half. To meet this short-term goal, you must rely on conservative investment avenues such as liquid cash. This mainly contains the goals that you want to achieve in the next 3-5 years. For instance, you may be interested to open up your own business. To realize the funds to meet your medium term goals, your investment portfolio should contain an ideal mixture of conservative as well as growth-oriented investments. It includes your goals over 5 years away. Long term goals may be regarding your retirement or it may contain the goal that you have set for the education of your children. The best way to generate wealth to meet your long term goal is to invest in the stock market or to invest in real estate. This is so because it has been historically proved that returns offered by the equities outperform all other forms of investment over the long run. 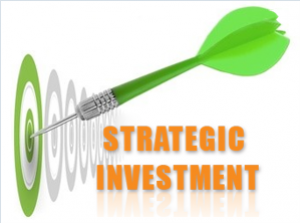 Given the goals that you have set, you can design your investment strategy. There are various forms of investment you can choose from to meet your objective. Two of them are stocks and bonds. Whereas bonds are restively safer and stable form of investing, stocks are more volatile and investing in stocks is more risky too. But, opportunities for earning money are more in stock investing than in bonds. And, moreover over the long run stocks fetch more return than the bonds. Again, in the world of stocks, there are growth stocks, income stocks, blue-chip stocks and many more. Given your goals, you can frame your investment strategy by taking into consideration these two broad types of investment avenues.